A new agriculture bill could help city growers expand their operations. Urban farming has deep roots in Detroit, as I reported in a three-part series last month. Some 1,400 farms are scattered across the city’s 139 square miles. Many farmers are concerned that their land will be razed and redeveloped as the post-bankruptcy city courts new investors and businesses. But new legislation announced Monday could help urban farmers across the U.S. grow. On Monday, Debbie Stabenow, a Democratic senator from Michigan, announced the Urban Agriculture Act, which would fortify existing loans, grants, and education initiatives for urban farmers. It would also allocate funds for community gardens, and create incentives for farmers to share their harvest with neighbors—something many local growers in Detroit are already doing, by selling produce cooperatively at Eastern Market or collaborating with community kitchens. It would also invest in technologies to curb water and energy costs. These are expenses many farmers in Detroit struggle to navigate, as they may be disconnected from the water grid or billed at the higher rate charged to homes. In sum, the bill calls for $46 million per year over a decade, the Detroit News reported. Detroit’s urban growers are cultivating the land to pick up where they feel the city has let them down. 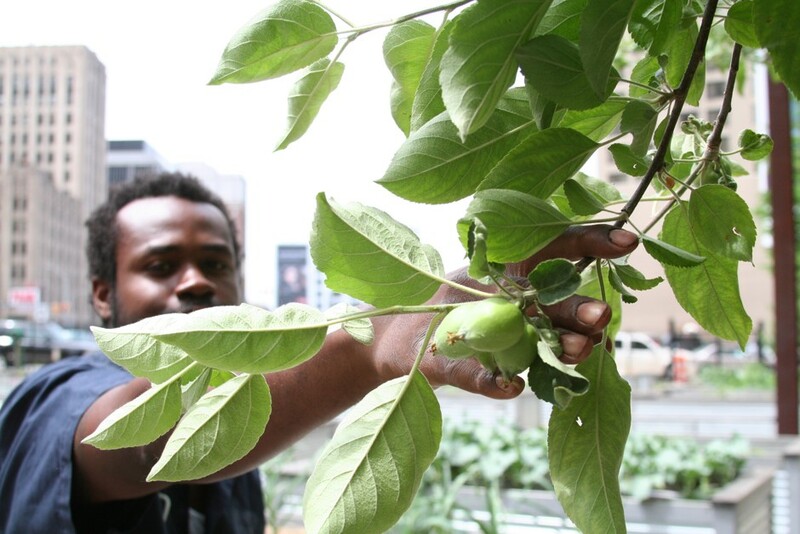 As my colleague Laura Bliss has noted, urban farming isn’t necessarily a cure-all for a strapped job market; though some farmers are able to support themselves from their harvest, many struggle to break even. While Detroit does have job training programs to prepare people to enter the green sector, one graduate—who is now on payroll at a local greening organization—told me that the interest outstrips the demand. But urban farming has benefits beyond job creation: it can chip away at food insecurity; it can bolster community relationships. Investing in local agriculture can also help residents become self-reliant and resilient, Malik Yakini, the head of the Detroit Black Food Security Network—which runs D-Town Farms, where Stabenow announced the bill—told me. Moreover, as Detroit evaluates what the future of the city might look like, urban agriculture can serve as a linchpin in a blueprint of urban topography. The city is already embracing green spaces for stormwater retention and environmental remediation; the Detroit Land Bank, the entity tasked with collecting and dispensing parcels of blighted or vacant land, sheds side lots for as little as $100 apiece. Many locals use those spaces as vegetable plots or community gardens. The bill could face an uphill battle; there aren’t many days left in Congress before the clock runs out at the end of the year. But if it does budge, the infusion of cash and resources could help growers flourish. At the bill’s announcement, Detroit Mayor Mike Duggan nodded to the role that farming can play in Detroit’s future: “Agriculture is going to be a part of Detroit’s economy for years to come,” he said.